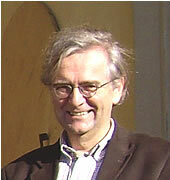 Bruno de Witte ist Professor für Europarecht an der Universität Maastricht und am Europäischen Hochschulinstitut (EUI) in Florenz. The economic and monetary crisis that has been hitting the European Union (EU) over the past decade has led the EU and its Member States to adopt several measures to safeguard the common currency. Among them is the Treaty on Stability, Coordination and Governance (TSCG) (also known as the Fiscal Compact after the title of its key chapter), adopted at the peak of the crisis in 2012 to reassure financial markets. The United Kingdom’s (UK) opposition to a revision of the EU Treaties forced Member States to resort to the conclusion of an international Treaty – eventually ratified by all Member States but the UK and the Czech Republic. Despite its overlap with EU legal norms (notably the Six Pack and the Two Pack) and despite the limited involvement of EU institutions in its operation, the TSCG is situated outside EU law. This exclusion from the EU legal order was, however, meant to be temporary, as article 16 TSCG foresees that ‘Within five years at most following the entry into force of this Treaty…the necessary steps shall be taken…with the aim of incorporating the substance of this Treaty into the legal framework of the European Union.’ As the five-year deadline (1 January 2018) is fast approaching and as both the European Commission and national parliaments are devoting attention to this issue (in fact the Commission is already crafting possible options for this incorporation), we discuss here whether such an incorporation of the TSCG in EU law is appropriate and necessary. In fact, the Commission itself appears to be aware of the need to avoid any automatic incorporation in EU law at it aims at “the integration of the substance of the Treaty on Stability, Coordination and Governance in the Economic and Monetary Union into EU law, taking into account the appropriate flexibility built into the Stability and Growth Pact and identified by the Commission since January 2015” (emphasis added). In the following, we will propose two opposed views on this question: first, we will present the argument in favour of the incorporation of the TSCG into EU law (Diane Fromage), and after that we will present the argument against such incorporation (Bruno de Witte). Even if the content of the TSCG should probably not be integrated into EU law exactly as it stands, several arguments can be made in favour of the principle of its incorporation. First, a contradiction currently exists between the TSCG and EU norms, in that the TSCG sets stricter fiscal policy obligations for the Member States: The Six Pack allows for a deficit of up to 1% of a Member State’s GDP at the time of defining its Medium-term budgetary objective whereas the TSCG lowers this limit to 0,5% . Even if the European Commission has recently adopted a more lenient approach in its evaluation of the Member States’ economic situations as detailed below, it would be desirable for all obligations to be aligned. Second, the TSCG requires the involvement of EU institutions despite being an international Treaty. The Commission’s and the Court’s roles are relatively minor, though, in particular now that the Commission has issued its (overall positive) report on the respect of their obligations by the Member States in relation to the introduction of the “Golden rule” (art. 3-2 TSCG): since Member States have been found to have complied with that particular obligation, the Commission and the Court have de facto no role to play anymore in the application of the TSCG. It is highly unlikely that a Member State will sue another Member State before the Court on that ground. As regards the other provisions of the TSCG providing for a role of the Commission, they merely repeat and refer to the content of EU law provisions and thus do not pose any particular problem. Despite all the above, some arguments in favour of the inclusion of the TSCG in EU law remain: symbolism and precedent. Indeed, as is well-known, the management of the economic and monetary crisis has been characterized by the swift, and sometimes even rushed, adoption of emergency measures both inside and outside the EU legal framework. The form that the inclusion of the TSCG provisions should take, i.e. whether they should be introduced in the text of the EU Treaties or whether secondary legislation suffices, is up for debate. But the inclusion in itself should perhaps not be, since this would set a precedent Member States might be tempted to refer to where they cannot agree on certain reforms in the future. The current EU architecture is arguably already sufficiently complex with the existing opt-outs and differentiations; any further complication in the form of the adoption (or the non-inclusion) of international treaties should be avoided inasmuch as possible to try and guarantee citizens’ best understanding. Moreover, assuming that the UK’s exit from the EU will require a Treaty change sooner or later and that the inclusion of the ESM Treaty in EU law is indeed a necessity, there is no reason why the window of opportunity these changes will open should not be used for the TSCG as well. Whether such a reform should be conducted at this point or later, is another question though; both the “Brexit” and the TSCG reforms in any case appear to be less pressing than the “Europeanisation” of the ESM Treaty. The argument, presented below, why incorporation of the TSCG into EU law is not desirable, presupposes that there is no strict legal obligation to incorporate it, despite the text of its Article 16, quoted above. In this regard, it should be noted that this is an obligation under international law and not under EU law, as it is laid down in a separate international treaty. Article 16 is not made subject to a compliance procedure in the TSCG, so that the failure to comply with its terms would remain unchallenged. Moreover, the obligation of Article 16 is, logically speaking, only directed at the Parties to the TSCG, and cannot bind either the two Member States that have not become Parties, or the EU institutions (Commission and Parliament) that would presumably have to cooperate actively in the incorporation process; it is interesting to note that it is precisely the Commission that pushes for the TSCG’s incorporation into EU law as detailed above. It would nevertheless be very well possible to disregard the obligation of Article 16, as has already happened with some other provisions of the TSCG. Indeed, the strict budget deficit norm of 0,5% is, arguably, at this point of time, breached by most of the Parties to the TSCG, but nobody cares, that is: none of the Parties to the agreement has taken steps to require the others to comply with that obligation under the treaty. Therefore, the TSCG has become very much a ‘limping treaty’, like other treaties that are formally in existence but have lost their raison d’être and practical importance. And the argument can be made that it should remain limping forever. The fact that the content of the ‘Fiscal Compact’ took the form of an international law instrument was heavily criticized back in 2012 but now, with hindsight, we can consider ourselves lucky that its content was not made part of EU law then, and can remain outside EU law now. Indeed, the budget austerity mantra that dominated European politics back in 2012 has now lost its appeal. The Commission, and most Member State governments, have now moved away from it, and have recognized the negative impact that too strict budgetary norms may have on the economic stability of the euro area, and on the economic recovery of the crisis-hit countries. One therefore wonders why the Commission thinks it necessary to incorporate the TSCG into EU law, even if in an amended form. Why does it want to complicate its life, and that of the euro area states, instead of conveniently ‘forgetting’ the existence of Article 16 and, indeed, of the whole Treaty on Stability, Coordination and Convergence? That treaty, maybe, played a useful role at the time of its adoption, as expressing the euro area governments’ strong resolve to get their budgets in order, so as to calm the turmoil on the financial markets. But that role is now exhausted. Budgetary discipline is now sufficiently ensured by the European Semester procedure under current EU law, and there is no need any more for the ‘Fiscal Compact’. This post has previously been published on the Center for European Reform in Maastricht (CERiM) blog and is reposted here with kind permission. 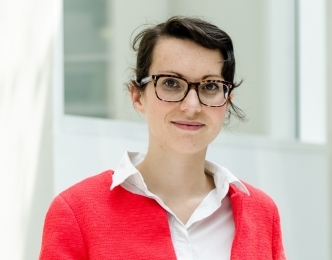 SUGGESTED CITATION Fromage, Diane; de Witte, Bruno: The Treaty on Stability, Coordination and Governance: should it be incorporated in EU law?, VerfBlog, 2017/11/06, https://verfassungsblog.de/the-treaty-on-stability-coordination-and-governance-should-it-be-incorporated-in-eu-law/, DOI: https://dx.doi.org/10.17176/20171106-172732. If EU and member states want to incorporate the TSCG into European Laaw: Why not do it as an enhanced cooperation rather then by going through the long process of changing the treaties? This is even more relevant given the discussion about the measures incorporated by the TSCG (see infact this very post). Enhanced cooperation would give a possibility to encorporate it into European Law while still being able to handle it flexibly rather then being bound by it as a primary law normative command. Very interesting. Thank you both! In addition, I would be very delighted to have your opinion on whether the TSCG currently has any scope at all. In my view, Article 3(2) TFEU prevents Member States from concluding inter se agreements that partially replicate – or even partially contradict – EU law. And I doubt that inserting a clause according to which the TSCG only applies "to the extent that it is compatible with EU law" was enough to solve this problem. Unfortunately, this issue did not attract much attention in Germany – probably because measures that encroach upon the competences of the EU and that foster austerity are generally considered positive by the Bundesverfassungsgericht and the majority of public law scholars. Belgian constitutional court has made last year an historical arrest on TSCG/Fiscal Compact. From now on international traities has to be checked on Beglian constitution.